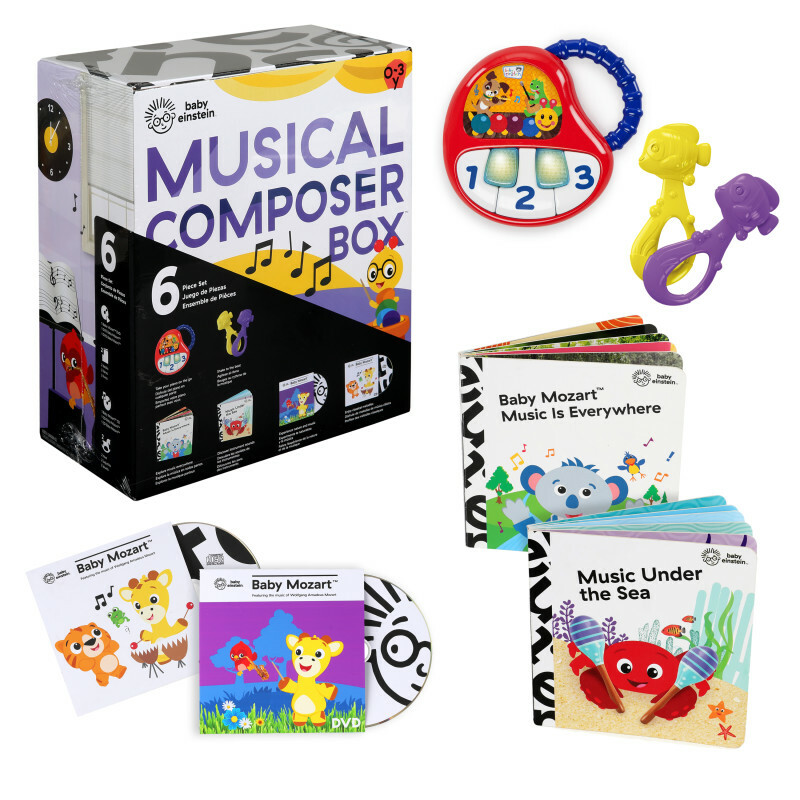 Listen to baby as she tunes into her inner musical genius with Baby Einstein’s Musical Composer Box. With sing-along books, music, videos and the Keys to Discover Piano Toy, your little musician will find everything she needs to take the stage. She’ll tap out classical melodies on her very first piano with dancing lights that follow her every keystroke. When it’s time to bring the show on the road, the easy-to-grasp handle helps your little one take this portable piano almost wherever she goes. Open the door to even more with books, a CD and a DVD. Baby’s first music box is full of play! Dimension (in) 9" x 8" x 4"